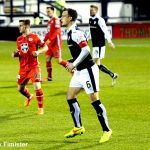 Raith Rovers were denied victory by a late sucker-punch for the second time in just four days, when an exceptional last-minute free-kick from Steve Mallan saw St. Mirren leave Stark’s Park with a single point. 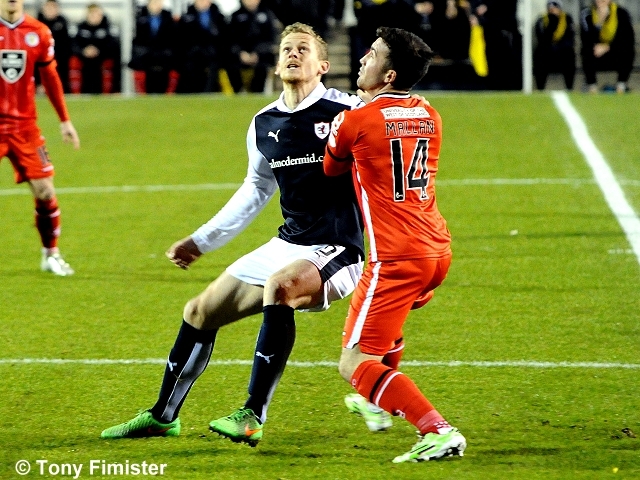 Manager, Ray McKinnon made two changes from Saturday’s 3-3 draw with Dumbarton. 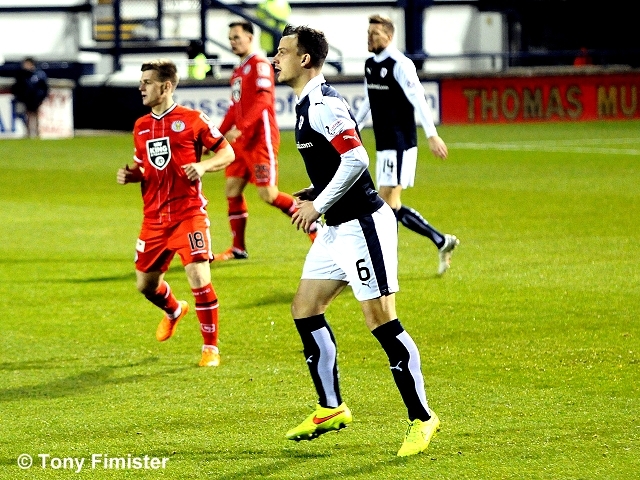 Grant Anderson came back into the fold at the expense of Mitchel Megginson, while Jon Daly partnered Mark Stewart up-front, with Craig Wighton making do with a place on the bench. With a bitterly cold evening enveloping the ground, the fans were hoping for some excitement on the park to warm them up, but it was a fairly slow and scrappy start to proceedings. 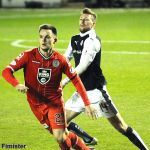 Neither team were proving particularly adept at keeping possession, with St. Mirren in particular proving wasteful from wide areas, coupled with a tendency to over-hit a forward pass too close to Kevin Cuthbert. 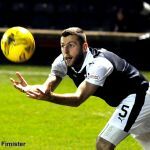 That said, the Buddies came close to opening the scoring after six minutes, when a cross into the penalty area from Craig Reid eventually fell to Calum Gallagher, who flashed his shot wide of the post. 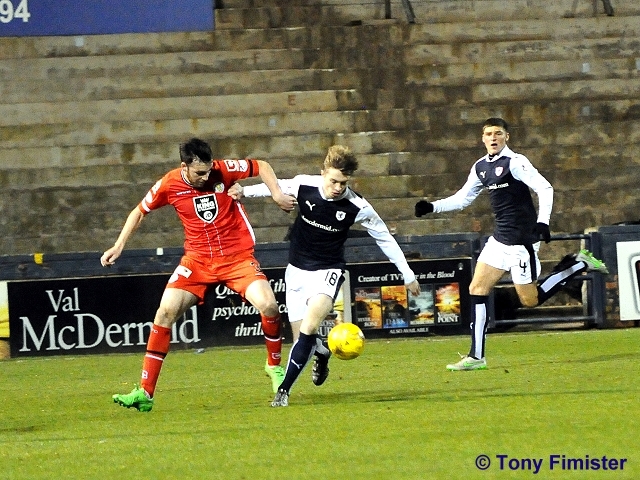 The away side threatened again moments later, after they quickly broke from a Raith free-kick which came to nothing. 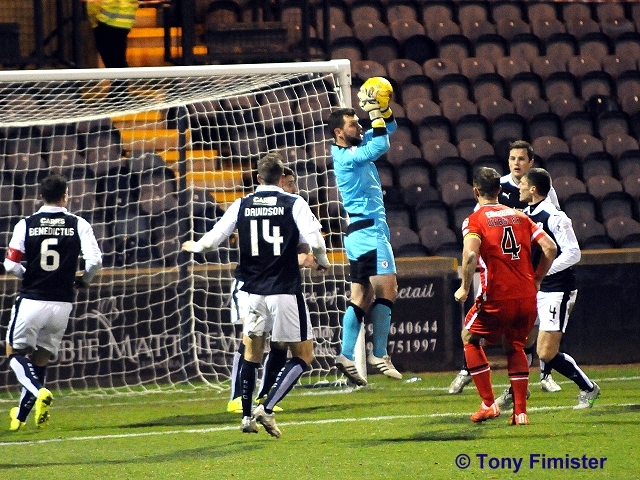 Only great covering from Scott Robertson prevented Gallagher from being presented with a good opportunity. 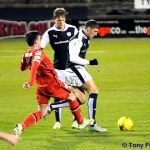 Raith had probably enjoyed an equal share of possession, but like St. Mirren they’d struggled to create too much of note, although that changed just after the quarter-of-an-hour mark, when Mark Stewart passed up the game’s best chance up until that point. 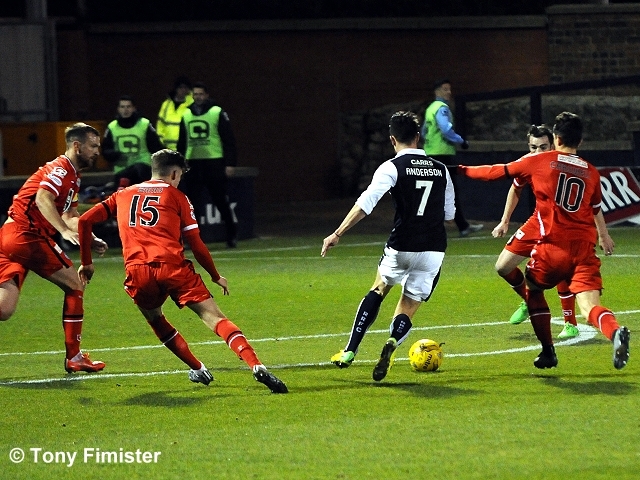 The striker was picked out well by Rory McKeown’s cross, and while the forward did well to fashion some space for himself, he’d be disappointed with his finish, which was placed wide of the opposite upright. 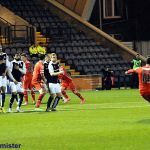 Rovers were now starting to enjoy the upper-hand, and while Scott Agnew felt aggrieved at not winning a penalty after going down in the area under a challenge from Kyle Benedictus, it was Raith who went straight down the other end and almost took the lead from a set-piece after 25 minutes. 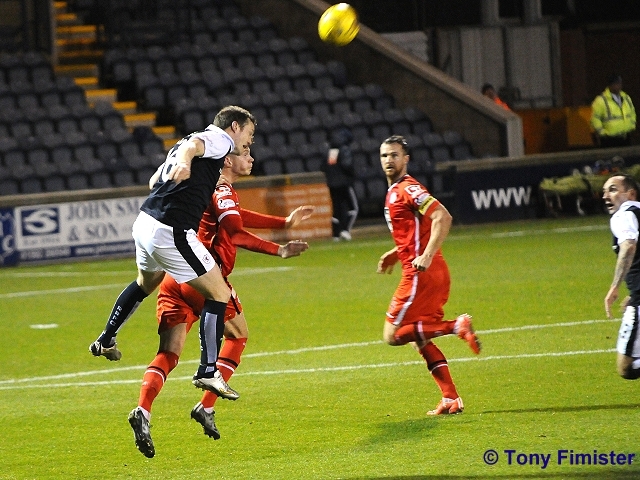 Grant Anderson won a free-kick just outside the penalty box and slap-bang in the middle of the park. 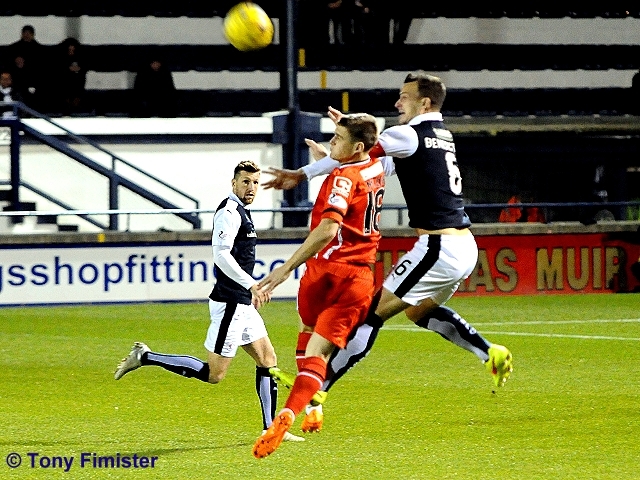 From the resulting effort, Jamie Langfield had to be alert to divert James Craigen’s on-target effort over the bar. 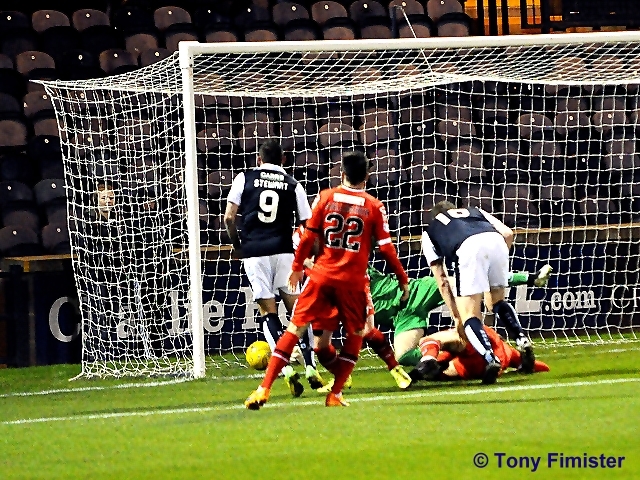 The same Raith player, then tried his luck with a snap-shot from distance which Langfield just managed to steer wide, and from the corner-kick, Iain Davidson was the next to be shut out, when his close-range header was kept out from Langfield. 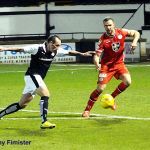 While St. Mirren were playing reasonably tidily in patches, they were still failing to eke out chances, which possibly lead to Stuart Carswell’s rather ambitious shot from distance, which the midfielder wildly sent over the bar. 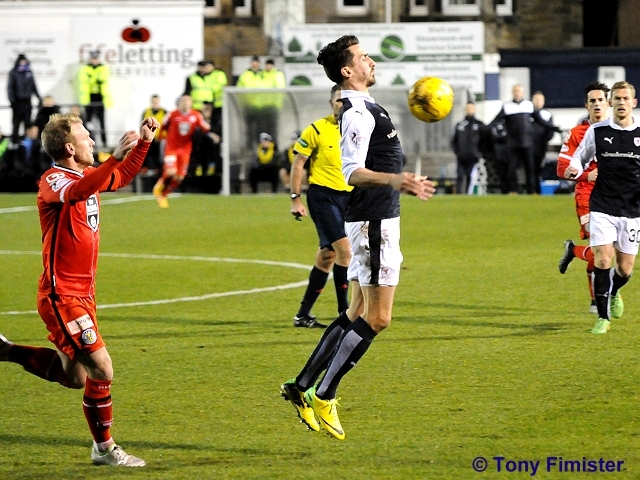 With five minutes remaining in the half, Raith took the lead, although that man Langfield almost denied them once more. 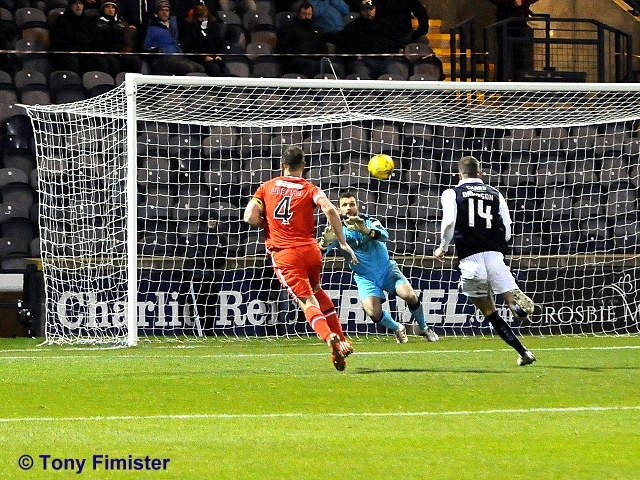 Anderson’s cross from the right was met well by Jon Daly, and although his downward header was superbly blocked by the busy Buddie goalkeeper, Mark Stewart was on hand to knock the rebound home from a tight angle. 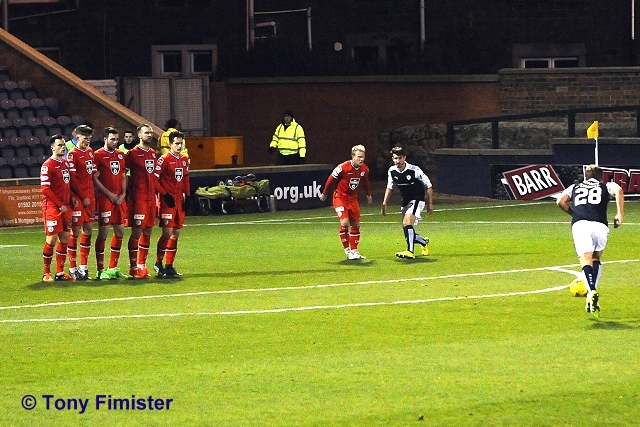 It was a goal which the home side deserved on the balance of play, but they were almost pegged back immediately, when Gallagher was teed up, and from 22-yards, his net-bound shot was kept out splendidly, low down and full-stretch by Cuthbert. While the first-period took a while to get going, the second 45-minutes was, if anything, even more of a slow burn. 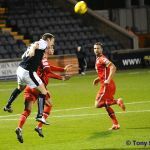 Ian Murray’s men were probably enjoying a touch more possession, but other than a comfortable stop right at the beginning of the half, Cuthbert had little or nothing to do. In stark contrast to earlier, Langfield too was rarely being called into action, although a clever piece of play by Stewart on the edge of the area, bringing the ball into his feet, spinning and firing a shot away all in one, fluid movement, did have the ‘keeper scrambling across goal, but the shot went just wide. 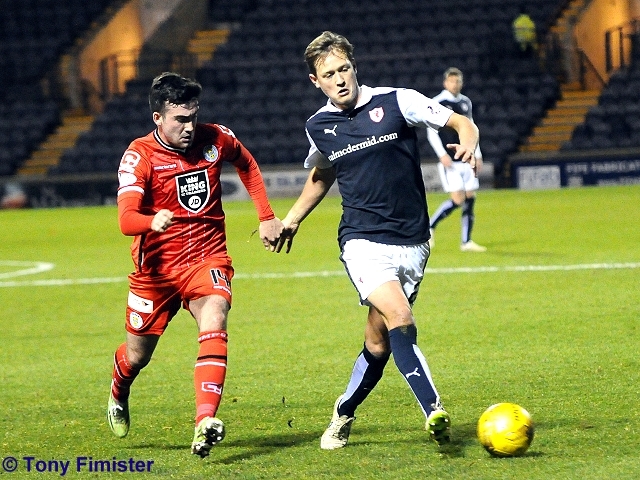 There was a worrying sight for Raith fans with just under half-an-hour remaining, with Lewis Toshney hobbling off to be replaced by Ross Callaghan. 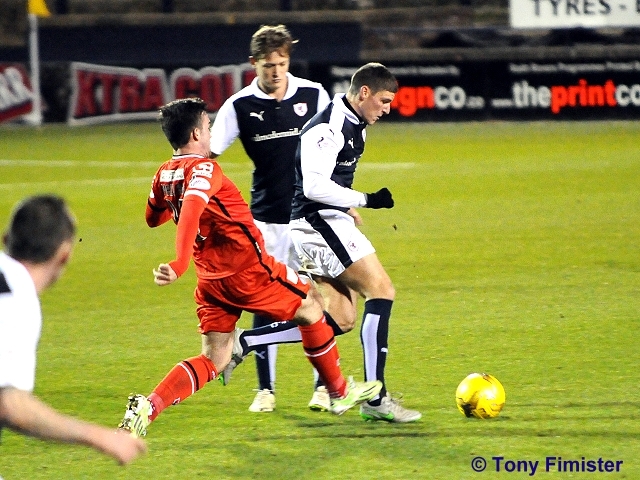 The substitute moved to the right-hand-side of midfield, with Grant Anderson moving to right-back. 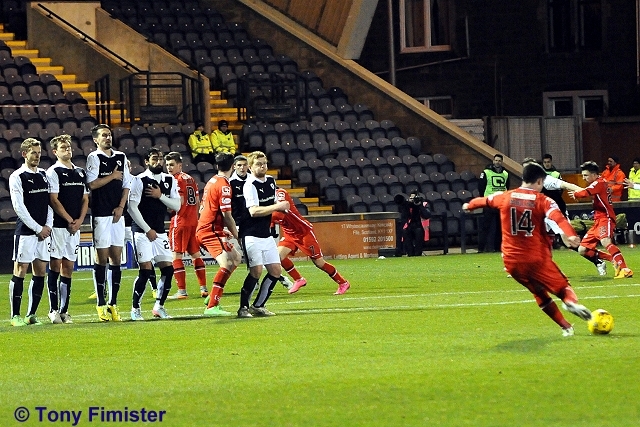 Despite Rovers suddenly having what was in essence an emergency right-hand-side, St. Mirren appeared unable to take advantage, although after the late drama of Saturday, no-one in attendance was counting their chickens just yet, especially with the home side not showing too much in an attacking sense at this stage. 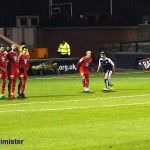 Benedictus was shown a yellow card in the 82nd minute for a foul just outside the area, and while Mallan got his effort up , over the wall and on target, it lacked the pace to really trouble Cuthbert. 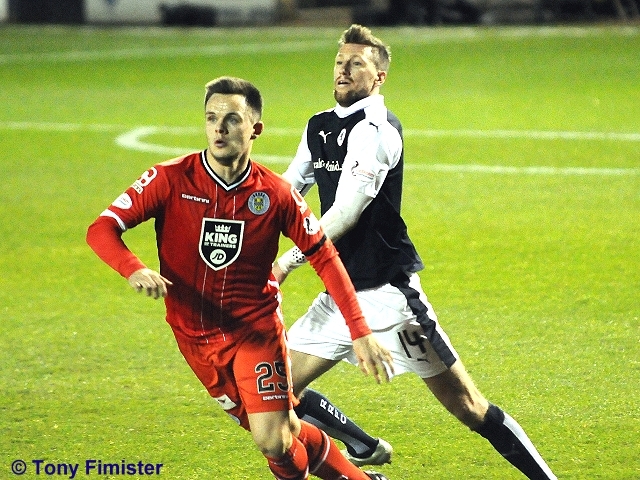 Unfortunately from a Raith perspective however, judging by what occurred in the final few moments, his first direct shot was just helping him to find his range. 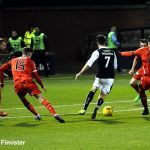 Benedictus once more halted a run at goal by foul means, and from fully 25-yards, Mallan fired an unstoppable effort into the top left-hand corner of the net to bring the scores level. 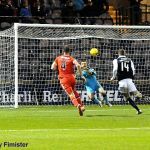 The result means Rovers stay fifth in the Championship, behind Morton on goal-difference, with Rangers the next visitors to Stark’s Park on December the fifth. 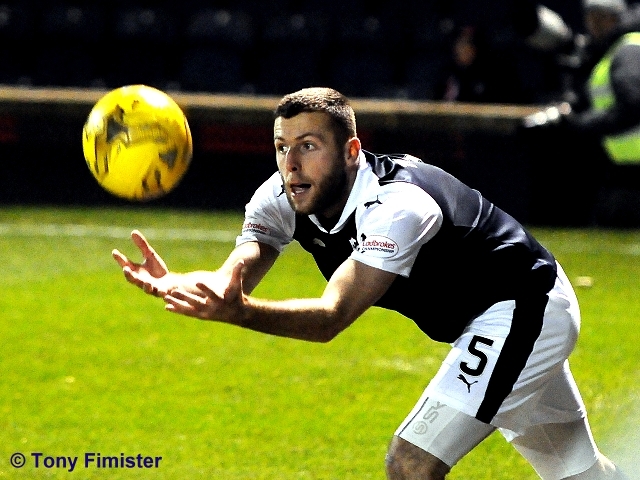 The next match is away to Elgin this Saturday, in the Scottish Cup. 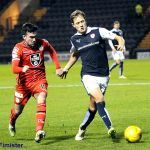 St. Mirren are the visitors to Stark’s Park this Tuesday evening, with both sides looking to bounce back after squandering late leads over the weekend. 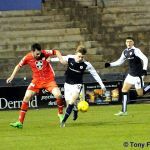 Ray McKinnon’s men seemed to have the three points safe after goals from James Craigen, Mark Stewart and Scott Robertson saw Raith take a 3-0 lead into the last ten minutes of Saturday’s match against Dumbarton. 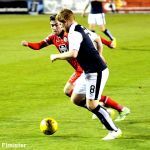 However, a double from Steven Saunders and a Garry Fleming penalty meant that a shell-shocked Raith side had to settle for a point. 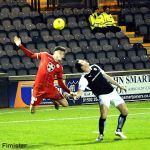 The Paisley Budddies were also involved in late drama at the weekend, although perhaps not quite as striking as the Dumbarton Raith fixture. 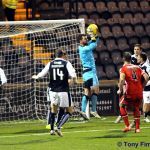 Leading 1-0 in the Renfrewhire derby against Morton thanks to an early Jack Baird goal, they lost a last-minute equaliser after substitute Alex Samuel knocked home a rebound after Jamie Langfield had saved Denny Johnstone’s effort. 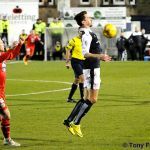 The point apiece meant Morton remained in fourth place in the table, with St. Mirren in eighth, level on points with seventh placed Livingston, and ninth placed Dumbarton. 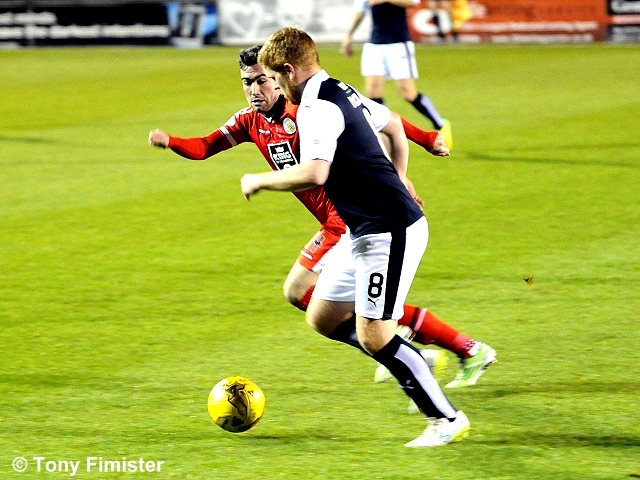 The last time Raith Rovers played St. Mirren in a league match at Stark’s Park was January 2005, when goals from Darren Brady and John Martin handed Rovers a 2-0 win. 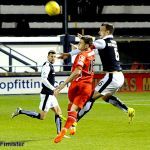 Their previous meeting this season was in September, in an excting match which saw James Craigen opening the scoring with a fine strike, before Lawrence Shankland brought the scores level just before the interval. 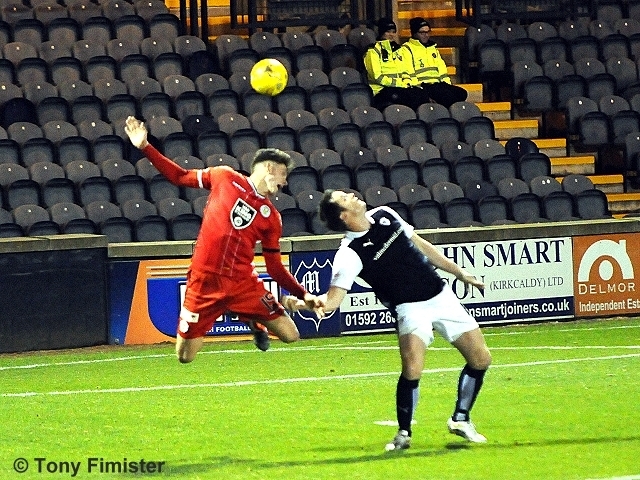 However, a late finish from Grant Anderson saw Rovers win in Paisley for the first time since 1998. 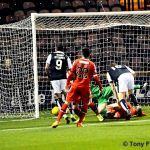 St. Mirren hold the upper-hand in the most recent head-to-head meetings, with five wins from the last ten fixtures, compared to Rovers three. 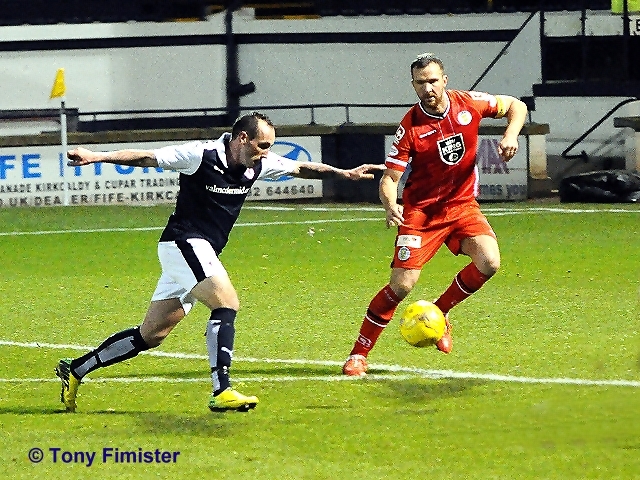 Tuesday evening’s match referee will be John McKendrick.